Contributing over $1.1 billion annually to British Columbia’s Economy, salmon farming is the province’s #1 agricultural export with 70% of the product being exported to markets around the world. While the United States remains the largest export market, encouraging demand trends are emerging – especially in China, where exports have more than doubled since 2012 and the appetite for B.C. farm-raised salmon continues to grow. There are 109 licensed and tenured finfish aquaculture facilities across the coastal regions of British Columbia, with 60-70 operating and all others resting at any given time. 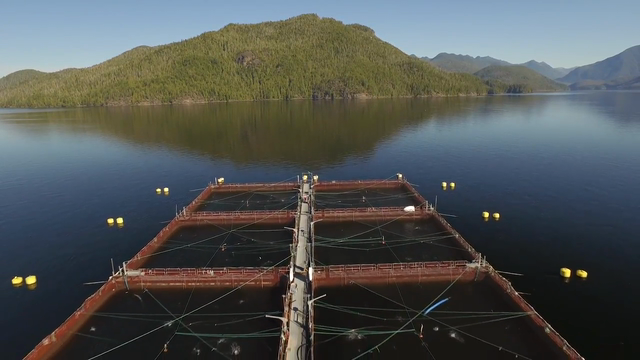 Realizing that the province’s pristine coastal waters are one of British Columbia’s greatest resources, salmon farmers continue to invest in state of the art technology and use innovative farming practices, resulting in an extremely desirable product that has a global reputation for being fresh, healthy and sustainable. “Fish farming is not about replacing wild fisheries. It’s about providing an alternative so people can have good quality food that’s good for them and that’s farmed responsibly,” said Stewart Hawthorn, past Chair of the BC Salmon Farmers Association. Salmon aquaculture is the world’s fastest growing food system – accounting for 70% of the market and producing 14.8 billion meals per year for people around the world – making it an essential part of the global food supply (The Global Salmon Initiative (GSI); ISFA).